Home - Great American Scooter Co.
Providing the Greater Houston area with mobility solutions for years. Our knowledgable technicians can provide the added expertise you need to find the power device or adaptation best suited for your needs. Tues - Sat 10 a.m. - 6 p.m. / Closed Sun. & Mon. Providing you the mobility you need by offering a wide assortment of power scooters and power wheelchairs. We can equip your home with stairlifts, pool lifts, and other in-home independence solutions tailored to your mobility needs. We combine feature and design to provide customers with lifts and compatible transfer seat options for any vehicle. 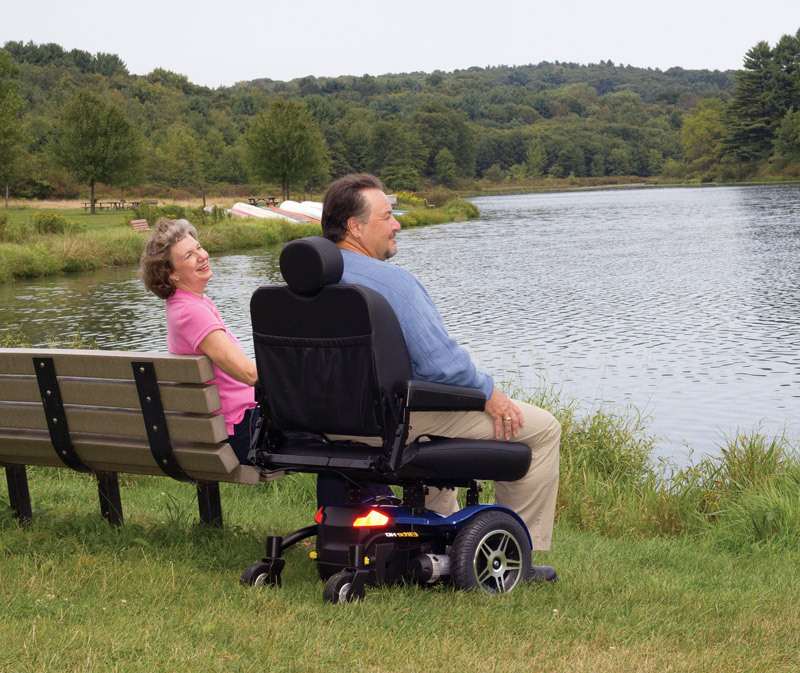 From the controllers down to the wheels, we can replace, service or repair any part of your power scooter or power wheelchair. Whether for short-term mobility needs or to fill the need while your permanent scooter is being serviced, we offer a variety of rental options to help you keep your mobility easily. From storage bins and baskets, cane or oxygen holders, cell phone holders, and more, adding accessories to your power scooter or power wheelchair will provide added convenience for your daily use. 10:00 a.m – 6:00 p.m.
Our qualified staff will help you find the best mobility options for your needs and budget. I'm from out of town and had an issue with my batteries/charger. One phone call and Kevin came to my rescue to help me get moving again. I HIGHLY recommend this company for all your mobility needs, local or out of town! Very good service. They had my scooter working again in no time. Awesome group. They work on the power chairs for my mom and my father in law. They always go above and beyond and really care about their customers. Highly recommend! These guys are extremely helpful. Everyone there always goes above and beyond to satisfy the needs of their customers. I would recommend them to anyone! Most enjoyable time I've had buying anything. Kevin is awesome to talk to and very knowledgeable about his products and services. Answered all my questions and gave very helpful insights into how to care for my wife's scooter. We got a really good deal on an upgrade for her. She bought her first one from him a few years ago. He's always took great care of fixing issues on it for her, as she uses it for terrain it wasn't designed for. The one we upgraded to today should be a lot better suited to her needs. This was the first time I've met Kevin. Gotta say, if you want to deal with someone who wants to meet the needs of their customers, he's the guy! Thank You Kevin! Great American Scooter Co. has been providing the Greater Houston area with mobility solutions for years, and our knowledgable technicians can provide the added expertise you need to find the power device or adaptation best suited for your needs.